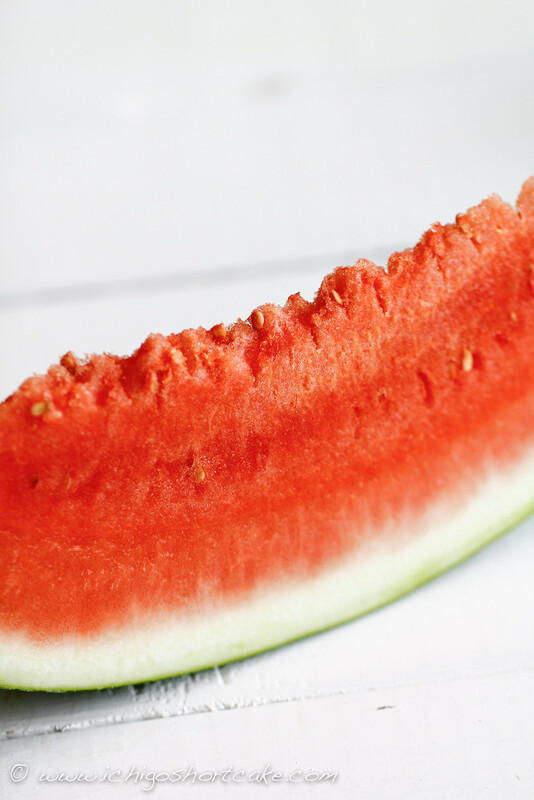 Summer is really the season for eating refreshing, beautiful fruits. They come in a myriad of colours, my favourite being red. Red is the colour of strawberries, of raspberries and of course, of watermelons. Red is also a festive colour, perfect for Christmas, New Years, the up coming Chinese New Year and even Valentines Day! In fact, my favourite colour changes with the season. It’s a fantastic thing being able to use up left over fruits in a tasty cold drink. Not that I don’t like eating the fruits by themselves, there’s just been such an abundance of fruits that we couldn’t possibly have eaten them all. Yuye and I made watermelon mojitos the other day. The vibrant colours really had me. The more I post about these drinks, the more I think I should change my blog into a cocktails/drinks blog. But I couldn’t bear the thought of not posting about my travels, restaurant reviews and other recipes so the idea was quickly abandoned. You’ll just have to bear with me until I run out of delicious fruits, if that can ever happen. :PThe drink is not really a mojito as such because it’s quite different but I just called it that for the lack of a better name. Technique:1. 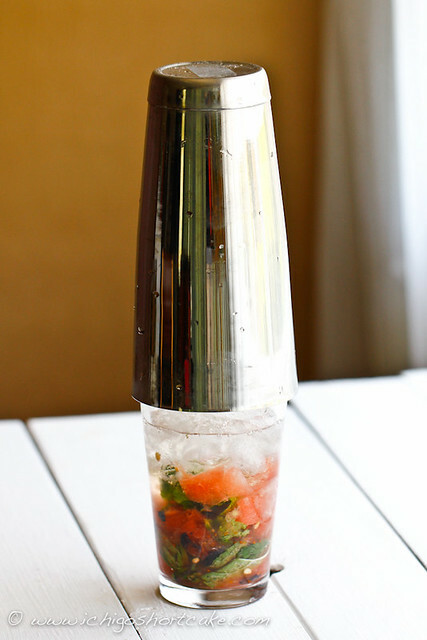 Put half of the watermelon pieces and 3/4 mint leaves into a large shaker. 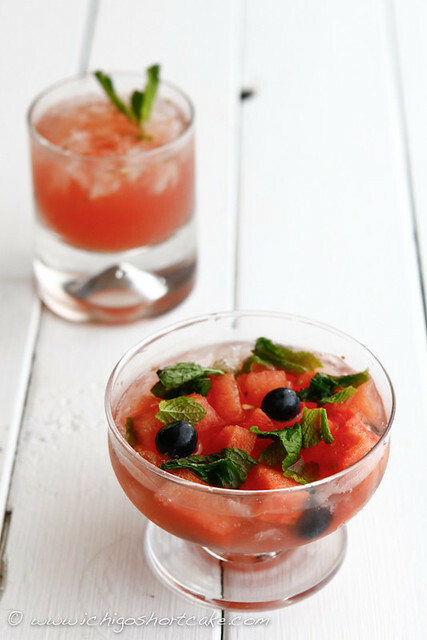 Smash watermelon and mint until the mint becomes fragrant and watermelon is mushed up. 2. Add in elderflower cordial, rum and top with ice then shake vigorously. 3. 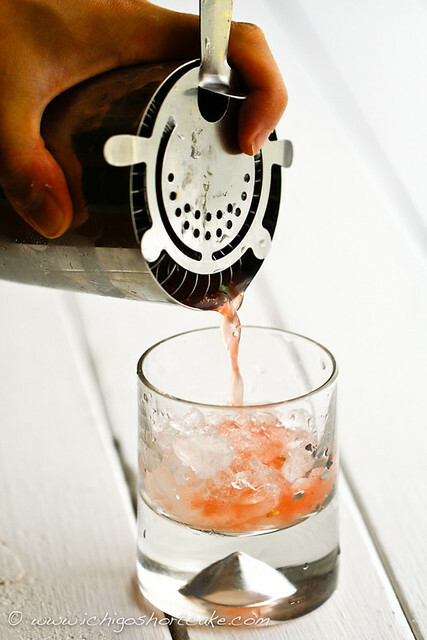 Strain half of liquid into a cocktail glass, top up with ice cubes and garnish with a sprig of mint and a wedge of lime. Serve immediately. 4. 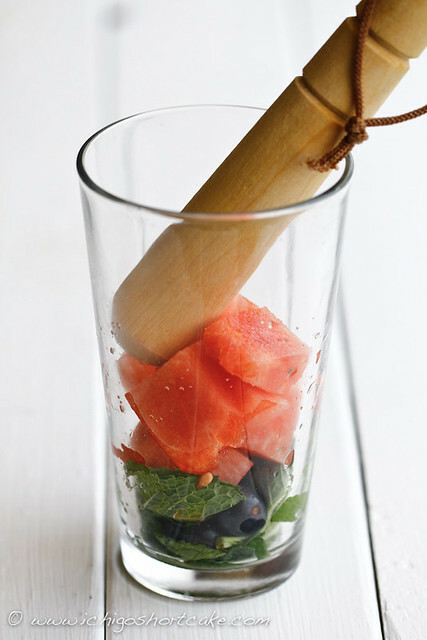 Strain remaining liquid into another cocktail glass, add in remaining watermelon pieces, blueberries and mint leaves. Add some ice cubes and serve with a spoon. *I didn’t use lime when I made this drink as I didn’t have lime at the time but it would have made a big difference. It’s a fairly strong drink but no sugar is needed as the watermelon should be sweet enough. Question time: What’s your favourite colour and what’s your favourite summer fruit? 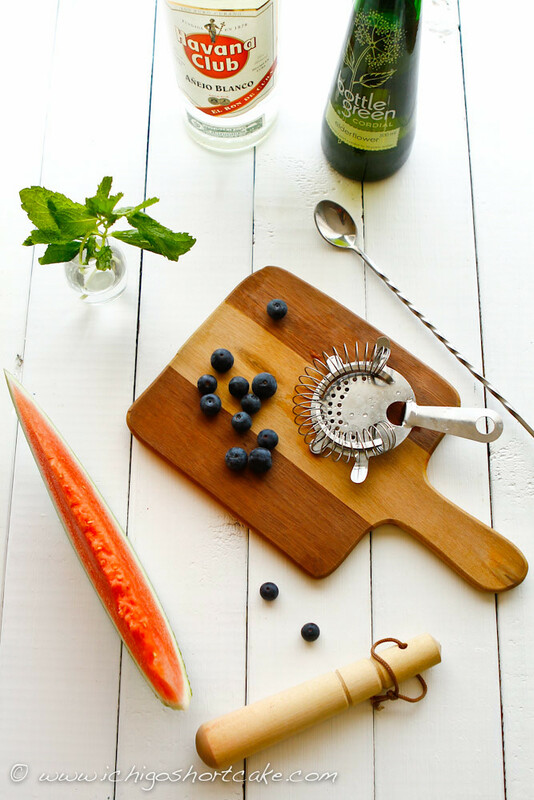 My favourite colour is blue and my favourite summer fruit is mango, followed closely by lychee and of course, watermelon :). Next thing you know you're going to turn into an alcoholic! Chilli red used to be my favourite colour, but I find that I'm moving on to coral orange now… and I love watermelon juices too! And coconut and sugar cane! It's like a two-in-one cocktail and dessert! So cool and refreshing. Very Nice and yummy! I miss summer…it's so damn cold over here in HK right now! Watermelon mojitos are the best. 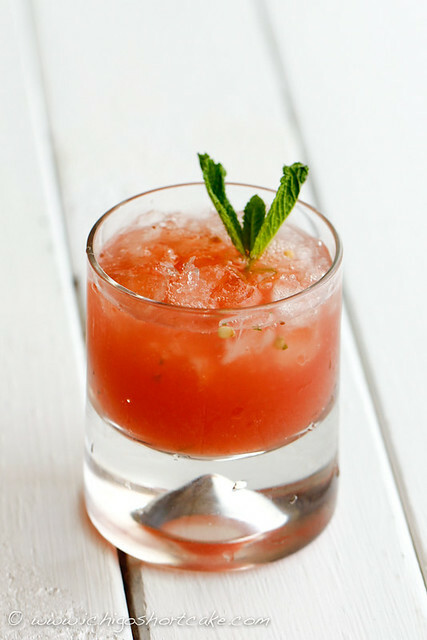 Lime and watermelon were just meant to be together. @msihua, I know right!! I've still got a few cocktails to post up and I feel like I will be making more as well 😛 Oh and I love sugar cane too!! @Daisy, what's the temperature like in HK? I miss HK though..haven't been there in years! @Deanna, i know right 😛 I forgot to buy limes when I made that so it didn't have the awesome acidity it needed 🙁 next time! WATERMELON MOJITO!! What a delicious idea! I can’t wait to try this! 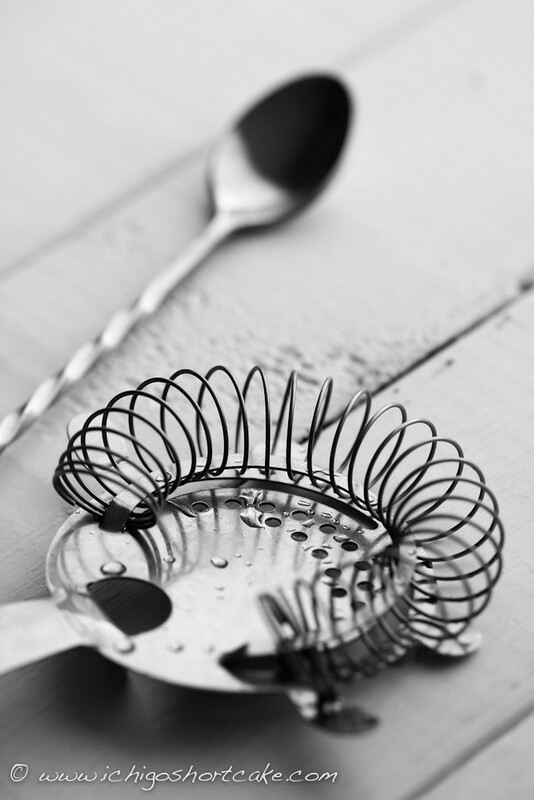 Awesome blog, I’m definitely adding it to my list of “daily blog reading” 🙂 Thanks for sharing!